I purchased a wonderful sofa from the Sophie collection at Dimond and the quality is so great and stylish! Love the new purchase I made. Really pleased with our Dimond Sophie Collection sofa. It's big, sturdy, plush and a great new centerpiece for our front room. Great service across the ordering and delivery process from AppliancesConnection. They kept us informed and arrived dead on the time they'd promised, so I can happily recommend them. So happy with this sofa! The Dimond Sophie collection sofa really brings my living room together. Would definitely buy again. I am absolutely loving my new sofa from the Sophie collection. Not only does it fit perfectly with our décor but it's super comfortable! Great purchase. Since my sofa was getting old, I decided to purchase a new sofa. 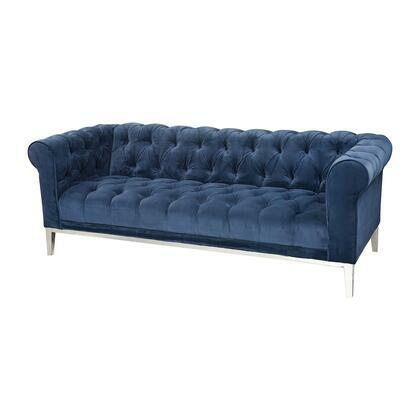 After searching I found The Sophie Collection sofa by Dimond. I received the sofa, and so far I know that I made a good decision to buy this sofa. Recently received my Dimond Sophie sofa. The sofa looks great in our home and is very comfortable. Good purchase. We recently moved into a new house and with the bigger living room, it was time to upgrade our living room set. Amongst our newest additions, is a beautifully designed sofa from the Sophie collection purchased at Dimond. The durability combined with the look and absolute comfort of this piece is astounding. I couldn't be more pleased with this sofa and will definitely be recommending them.